Dennis Uy-led Udenna Corp. announced it has entered into a share-purchase agreement with Conti’s Holdings Corp. (CHC) giving the company a 70-percent stake in restaurant and bakery chain Conti’s. The rest of the company will remain with its original owners. In a statement released on Monday, September 10, Udenna Corp. said the transaction is set to be completed by October 2018. It did not disclose the value of the deal. Uy, Udenna Corp.’s CEO, said the company is hoping its newest acquisition will allow the firm to tap into the growing local food service industry, which he claims amounts to $7.2 billion. Uy has been in a buying spree in the past two years as his holding company and listed firms continue to acquire a number of businesses in various industries. In 2017, Udenna Corp. bought a majority stake in educational institution Enderun Colleges, which Uy said signified the company’s serious foray in the hospitality and tourism sector. The company also acquired the local operations of Japanese convenience store chain FamilyMart on the same year. Conti’s will be the first restaurant business in Uy’s portfolio. In a highly competitive industry, Udenna’s acquisition of Conti’s is seen as a strategic move as the brand has earned loyal followers and customers in its more than two decades of operations. Founded in 1997 by sisters Cecille Marañon, Carole Sumulong and Angie Martinez, Conti’s grew in popularity for its homemade cakes and bestselling baked salmon dish. 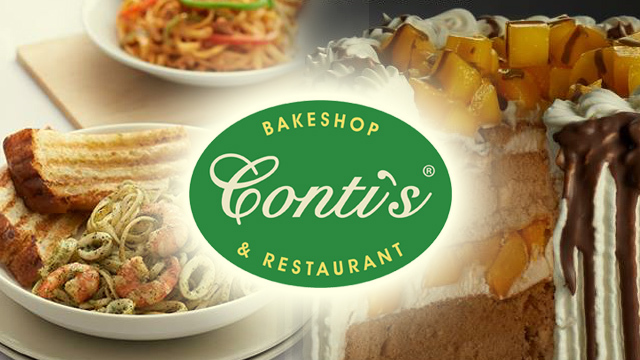 Conti’s started out as a home-based business in BF Homes Parañaque Subdivision with the three sisters as the first employees. Today, it has 20 branches in Metro Manila. While Udenna did not disclose its future plans for the restaurant chain, Uy said the founders will remain as strategic partners in the operations of the business. “We look forward to working with the existing management team, with the support of its original owners who are retaining a strategic stake, to bring Conti’s to the next level,” Uy added.